Let me share a heart-felt “thank you” to all of you who were praying for this event. We are still getting emails from those who attended sharing what a blessing they received. I had never been to Hollister before, and so, usually on a first-time visit, I try and share the usual concepts that I believe are foundational to understanding the Gospel and arriving at a healthy picture of our Heavenly Father. But this time, I felt moved to share something that has been a burden on my heart over the last couple months. I’m happy to say that the recording took and we’ll be releasing Friday night’s presentation as our sermon of the month for September. For all of you who traveled to Hollister for this weekend, it was so good to see each one of you again. And for those of you who actually live there in Hollister, it was a tremendous privilege to meet each of you as well. Thank you for the invitation to come to your church and please don’t hesitate if we at RHM can be of any future service to you as you seek to share the message of God’s character of love with today’s world in a relevant and meaningful way. 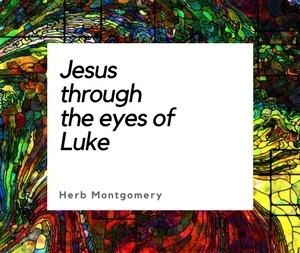 This week, we are moving forward in our focus on Jesus’ discourse in Luke 11. This week, we begin looking at the woes He prophesied over the religious system of His day and why. And from this we are taking away insight, in light of the beauty of God’s character of love, what kind of communities and environments Jesus is calling each of us to be a part of creating so that others may see just how beautiful their God really is. I pray blessings on each one of you as you listen to this week’s message.